The details of gastric cancer in young patients remain unclear because of the low prevalence of the disease. This study aimed to clarify the clinicopathological features and prognosis of gastric cancer in young patients. From January 2007 to January 2016, patients in their 20s and 30s who were diagnosed with primary gastric cancer at 4 hospitals were enrolled. Their clinical characteristics and prognosis were evaluated. The total number of patients was 72. The median age was 36 years, and the ratio of males to females was 1:1. The dominant histological type was undifferentiated type (66/72, 92%). Helicobacter pylori (H. pylori) was positive in 81% (54/67). Although there were some asymptomatic patients in stages I–III, all stage IV patients had some clinical symptoms at the diagnosis. The percentage of stage IV was significantly higher in patients in their 20s than in those in their 30s (75% vs. 25%, P < 0.001). The Kaplan–Meier method showed that the overall survival of patients in their 20s was significantly lower than that of patients in their 30s (P = 0.037). 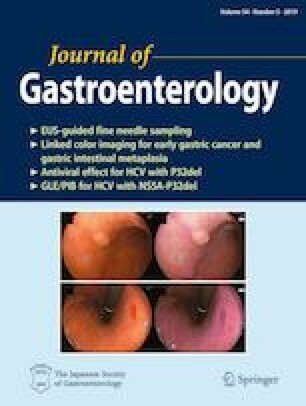 A high rate of H. pylori infection was revealed in young gastric cancer patients. The patients in their 20s had a worse prognosis than those in their 30s. We should consider examining the H. pylori infection status for young patients as well as older patients to identify high-risk populations. We declare that there are no potential conflicts of interest relevant to this article.